Pro-Built Control can assist with commercial (shopfront & factory) installation & fitouts. Pro-Built Control will design, and install lighting, power, data & communications for small to large spaces at competitive rates. 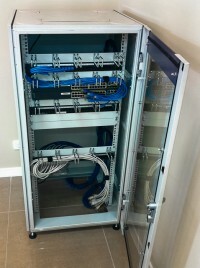 PBC have knowledge and experience to design, install and configure network racks, UPS supplies, ethernet switches, and work with other trades to ensure sucessful project completion on time.